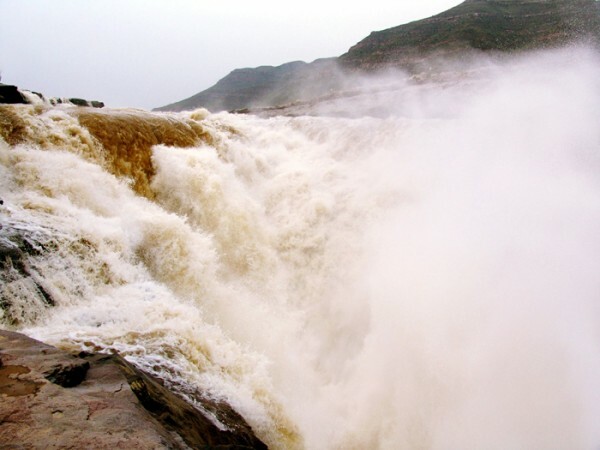 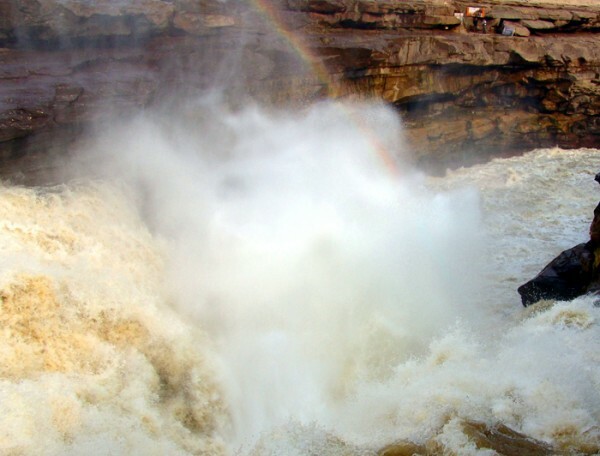 Hukou Waterfall, located at the intersection of Shanxi Province and Shaanxi Province, some 400 kilometers from Xian, is the second largest waterfall in China. 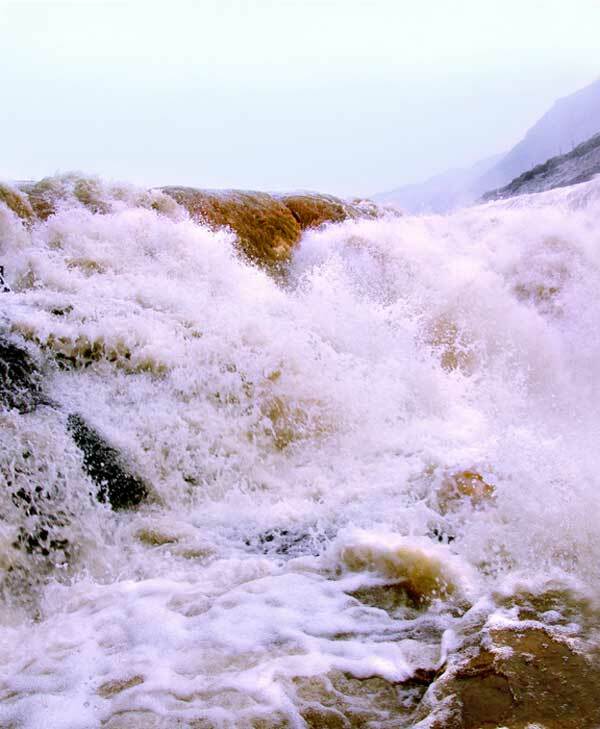 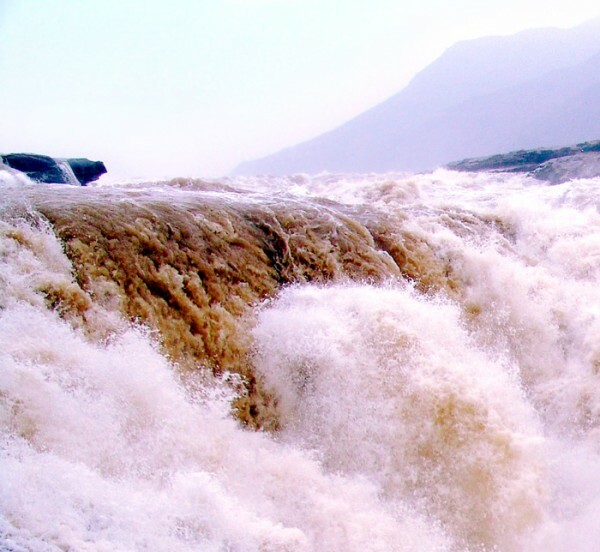 The mighty Yellow River, the second largest river in China, surge its way form the Qinghai Province to the border of Shanxi and Shaanxi Provinces where it suddenly found its way through a narrow valley blocked by mountains on both sides. 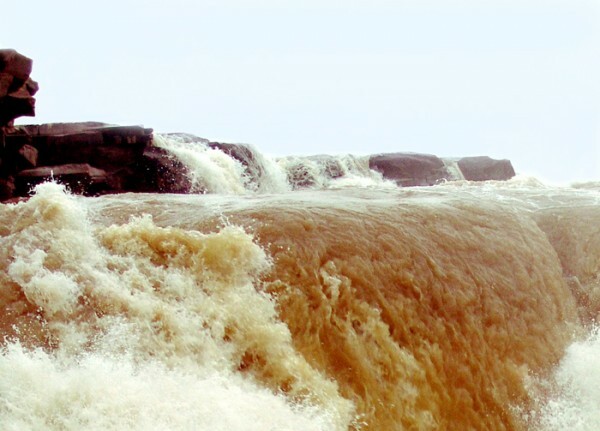 The riverbed abruptly narrows down from 300 meters to 50n meters, turning the placid water to rapids. 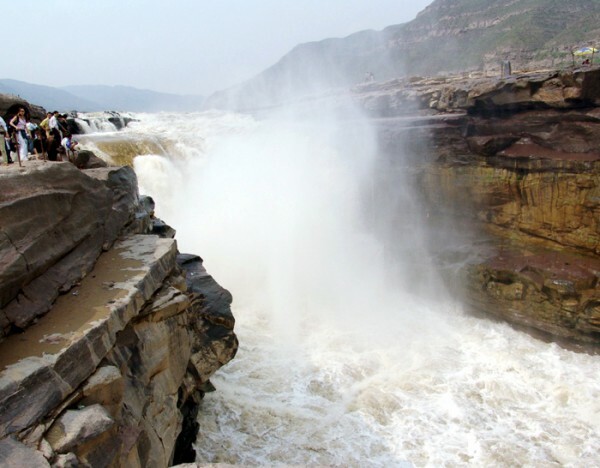 The tremendous water splashes on the rock, forming a magnificent waterfall of 15 meters high and 20 meters wide, as if the water is pouring down from a huge teapot, hence the name Hukou ( means mouth of teapot). 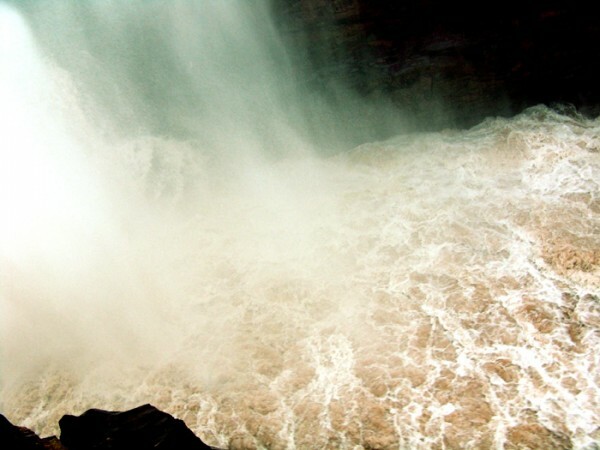 Just below the waterfall, there is a shining stone called guishi. 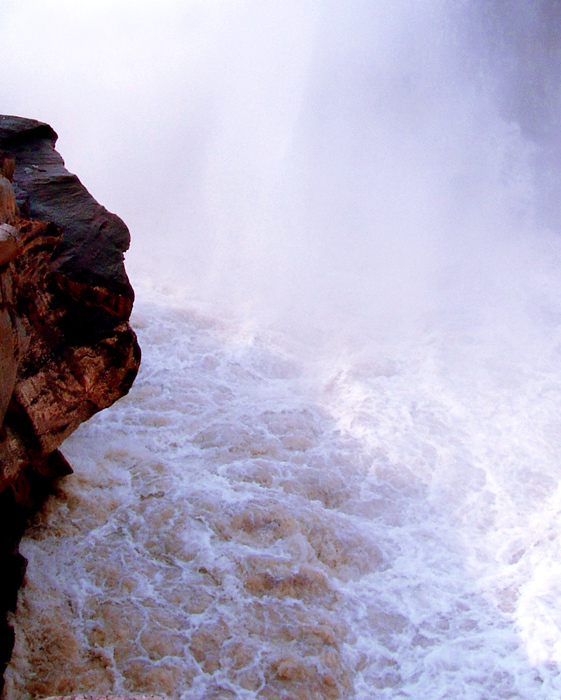 What makes the stone mysterious is that it moves up and down according to the water level. 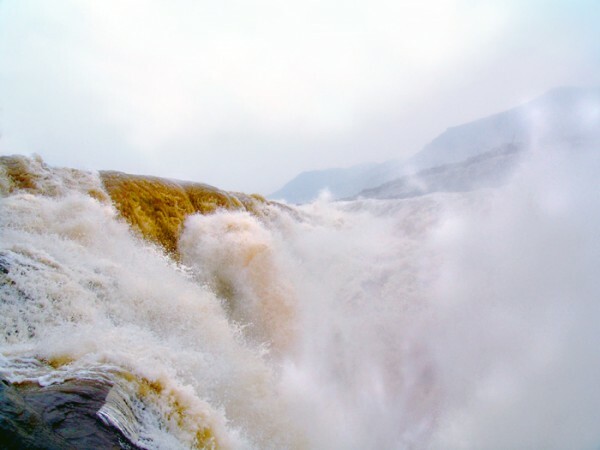 No matter how large the water volume is, it shows up a little. 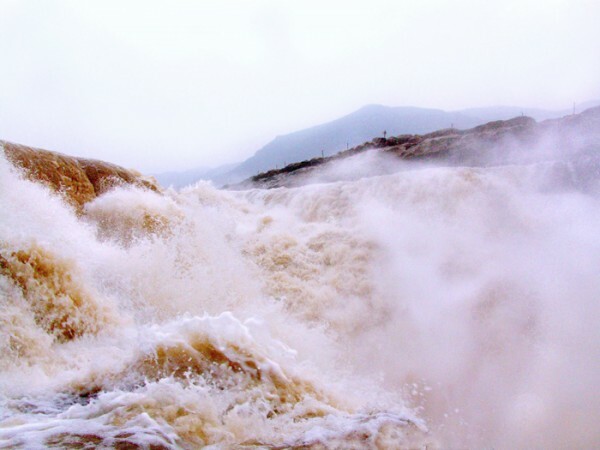 Lets take a look at some incredible photographs of Hukou Waterfalls taken by a talented Chinese photographer Shi Chen.